We started with 8 rooms and now we have 36 rooms including dorms, double/twin rooms and family rooms up to 5 persons. Regular, deluxe and family suits with or without terraces. From our garden you can see Aqaba city of Jordan, the amazing view in sunrise or the beautiful red painted color of the mountains in sundown. The garden has very nice seats, you can party with our barbeque corner, sunbathe or relax with a nice book our library can offer. It is important for us that the guests will feel at home away from home! So we assist in every way we can with a warm welcome whether it is pleasure or business visit. -Double deluxe rooms with terrace. -Rooms for 3 including a double bed single bed. -Rooms for 4 including a double bed and two single beds. 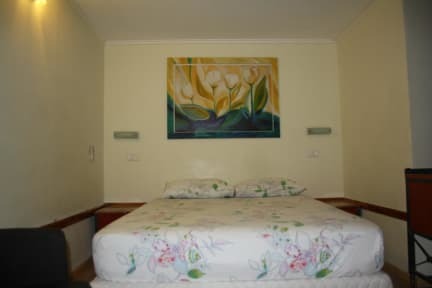 -Family Rooms: 2 rooms suite 4-5 person. -Deluxe gallery suite 4-5 person. All the privet rooms has toilet and shower air condition refrigerator, & cable TV. 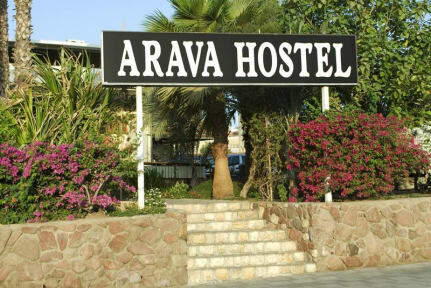 -Shared accommodation toilet & showers at lower prices backpackers, and others welcome. Private parking next to the hostel. O quarto era pequeno para seis meninas, mas tudo muito limpo. Para quem não se importa com banheiro misto compartilhado é um ótimo custo benefício para a cidade. O café da manhã é excelente. A staff super atenciosa e o jardim de convivência maravilhoso. Só acho que deveriam separar o banheiro feminino do masculino, mas acho que é cultural. Vale muito a pena.